They are too nice to wear. That was my initial thought when unboxing the latest Altitude outdoor crossover boots from Hi-Tec. Designed to move between handling the outdoors while being lifestyle orientated, they are, quite frankly, the most stylish boots I have seen in the company’s range to date. The Altitude Pro RGS (review) looked like typically rugged boots up to the travails of demanding trails, and the most recent Trail OX Chukka (review) proved to be the go-anywhere, do-anything mid boots and looked the part. For their part, the wheat Altitude OX certainly stand out as being considerably more fitting for a smarter occasion as well. Looks aside though, the shoes are certainly not intended to stay in their box. On slipping them on, it becomes very apparent that they built as much for the outdoors as for navigating through the concrete jungle. Firstly, the Altitude OX boasts the same Michelin-backed tread as found on the Trail OX Chukka. Given how well those performed on a variety of surfaces, I expected the same results when walking in them, and wasn’t disappointed. The grip on the Altitude OX is reassuringly firm, and provides for a more solid tread, especially if you are prone to slipping on wet surfaces, the most treacherous of which I find to be wet rocks, and their urban counterpart, wet tiles and damp brick. Admittedly, traction can be a tricky thing to measure, but I did find the Altitude OX’s pavement grip was noticeably more reassuring when walking the same path in a different set of hiking shoes and then comparing them with these boots. In this regard, they are on par with the Trail OX Chukka, which is definitely a point in their favour. An option that tends to steer me to lower cut or mid shoes is wear in. Boots typically tend to demand the most wear in before they reach their optimum comfort level. However, I was quite pleased to see that this wear in period for the Altitude OX wasn’t very long at all. Part of the reason for this, I suspect is the OrthoLite Impressions sockliner, which was similarly found on the Trail OX Chukka and sports slow recovery memory foam. After some of the aforementioned wear in, I found this not only added additional comfort from the outset, but made the boots feel like they were tailored to the shape of my foot, after about five or six wears. Although it may sound like a small factor, it is actually a major one, and has become a luxury which I now find myself looking for from shoes in general, and a good part of the reason why I kept coming back to the Altitude OX the more I wore them. Yet another point in the boot’s favour was their lace ringlets. A particular pet peeve are boots that have thick laces, but the ringlets aren’t wide or deep enough to hold the material firmly, leading to the laces frequently unravelling. This thankfully, is not the case here at all. Granted, they didn’t get too exposed to the harshness of the elements or any rain during my review period, a dry South African winter, and a warm Barcelona summer saw to that. 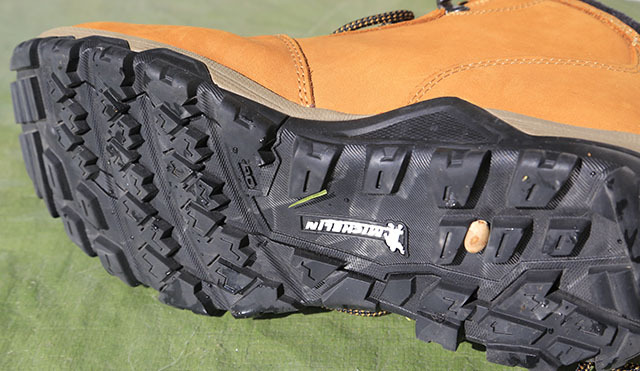 However according to the company, the boots are fully waterproof due to the incorporation of Dri-Tec technology. Both the winter and summer periods in which they have been tested did expose another of the Altitude OX’s strengths. The shoes never became too hot or stifling when doing a good 10 km in Barcelona, nor left me feeling like I had better wear thicker hiking socks to keep the chill out back in the South African winter. In the final analysis, there really isn’t anything to fault about the Hi-Tec Altitude OX. However, if you are the kind of person who tends to accumulate hiking shoes, and then faces the dilemma of which to wear and when, then the Altitude OX’s appearance may help solve it for you. 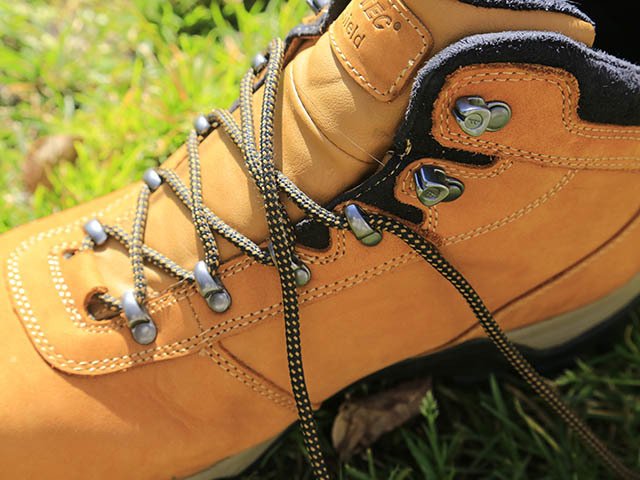 As much as I love wearing hiking shoes continuously for their levels of comfort, pitching up at a smarter night out in well worn and somewhat scuffed hiking boots may not always be the most appropriate approach. The Altitude OX, however fit in far better at a smarter dinner in the night, which is not a feat I honestly expect most hiking boots to be able to accomplish. For that reason alone, I consider them to be a valuable addition to the modern man’s arsenal. The Hi-Tec Altitude OX boots cost R2 200. FULL DISCLOSURE: The Hi-Tec Altitude OX boots were received as a seeding unit.